A mid season variety of very fine flavour. Red Windsor is firmly textured and has a richly aromatic but sweet and honeyed flavour. The fruits are ready for picking in September and will store until November. 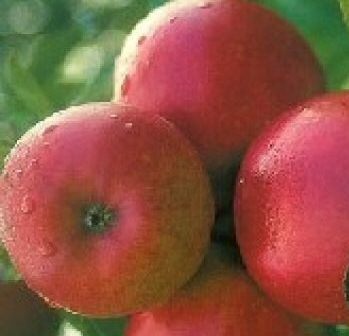 A highly attractive brightly red flushed apple of medium to large size, the perfect finish and colouring is deceptive as flavour is comparative to its famous parent, Coxs. An astonishingly free flowering tree which sets well, often producing an almost overwhelming crop but on a naturally compact tree. Disease resistance, frost tolerance and reliability, high yield, attractive fruits and wonderful flavour. A superb new introduction. Pollinate with Saturn, Sunset, Fortune etc.